How—and why—do we obsess over movie stars? How does fame both reflect and mask the person behind it? How have the image of stardom and our stars’ images altered over a century of cultural and technological change? Do we create celebrities, or do they create us? 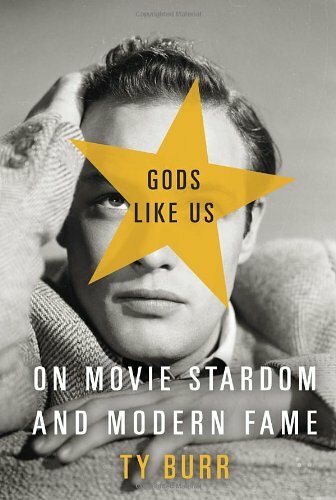 Ty Burr, film critic for The Boston Globe, answers these questions in this lively and fascinating anecdotal history of stardom, with all its blessings and curses for star and stargazer alike. From Mary Pickford and Charlie Chaplin to Archie Leach (a.k.a. Cary Grant) and Marion Morrison (a.k.a. John Wayne), Tom Cruise and Julia Roberts, and such no-cal stars of today as the Kardashians and the new online celebrity (i.e., you and me), Burr takes us on an insightful and entertaining journey through the modern fame game at its flashiest, most indulgent, occasionally most tragic, and ultimately, its most revealing.